About eight months ago, I got a tour of the Solversons’ house, circa 1979. About a dozen other journalists and I wandered around the split-level domicile. No photos were allowed, but we were able to investigate details like Molly’s drawings on the fridge, the cosmetics in the bathroom, the books on the bedside tables. There was an organ in the corner of the living room that broke my heart a little bit because it reminded me of the organ that had always been in my grandmother’s house — one of those pieces of life that feels permanent, until a life passes. READ MORE: ‘Fargo’ Season 2 Is Prestige Must-See TV, So Why Is Buzz (And Ratings) So Low? And then I remembered that we weren’t anyplace real. Instead, this was a set built from the ground up inside an Alberta, Canada soundstage, and, thanks to FX, I was getting a very early and very weird look at the second season of “Fargo,” a show we were months away from seeing, but was already poised to become critically acclaimed. In the time between then and now, “Fargo” Season 2 has lived up to that promise, racking up major nominations and Top 10 list placement for its talented cast and creator Noah Hawley. But it also featured a finale that felt almost deliberately quiet and blood-free, especially in contrast to Season 1’s corpse-strewn conclusion. With most loose ends wrapped up in the penultimate episode, the finale, “Palindrome,” instead devoted much of its time to a few sequences’ set-pieces that gave season standouts Bokeen Woodbine and Zahn McClarnon one last opportunity to shine, but then, in the end, turned the focus squarely on the family that began it all: the Solversons. That decision — to keep the focus so intimate when the show has at times had an almost epic feel — was a bold one, but one that didn’t lead to universal acclaim. The Season 2 finale of “Fargo” could be seen as a disappointment: Watching it, I could imagine the rise of an audience thirsty for answers beyond the very little we know about the future (some of which we only know through deeply embedded Easter eggs). Sure, there are some obvious facts laid out: Betsy Solverson (Cristin Millioti) doesn’t live to see her daughter graduate from high school, and presumably in the 20+ years between Season 2 and Season 1, Hank (Ted Danson) also passes away. But what happened to Peggy, Mike and so on? Season 3 is said to be set in more contemporary times, with another fresh set of characters, which means we may never really find out for sure. Because “Fargo” is interested in a lot of things, but objective truth is not necessarily one of them. 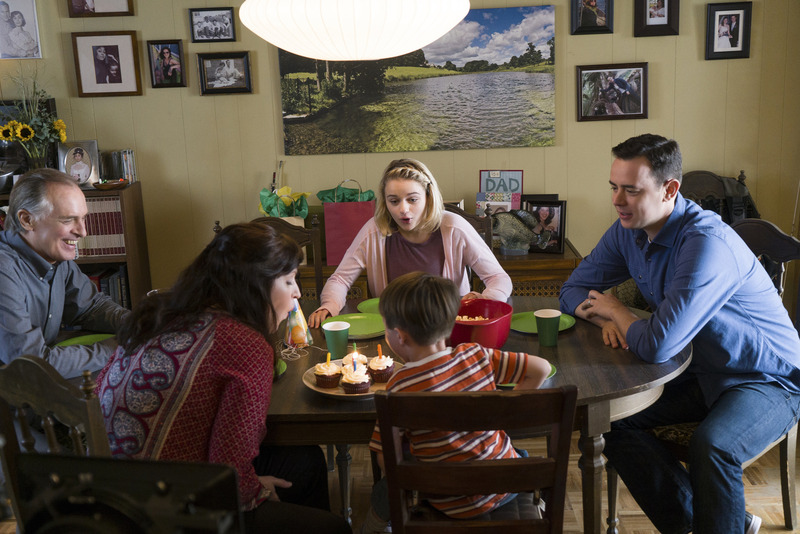 “Fargo” might be hard to describe, but there’s one other core concept underlying all of this: family. It’s a subject matter that gave “Fargo” and “The Leftovers” something in common this year. At their core, both were about not just family, but the forces which potentially threaten it. I’ve seen some “Fargo” critics say that the show is at times a cold one, limited in its range of emotion, but I’ve never felt that way. It’s a show that lives in the moments that can’t be expressed, that we just recognize as universal. Sure, its most breathtaking scenes are often filled with violence, but that violence, when executed at its best, serves a very singular purpose. : It’s there to remind us of the ones we love, how they live in a dangerous world, and how we can never forget that. It reminds us of family, how tenuous and fragile family is, and how eternal and everlasting it can also be. Over the course of Season 2, we saw one family, the Gehrhardts, torn apart brutally in ways that felt preventable and yet inevitable. We saw another — the Blomquists — fizzle out through its own hubris. But we saw another survive. The final moments of “Fargo” Season 2 found its human core in one good decent family, going to bed in their little house that felt like a home. I’d stood in the rooms of that little house. I’d looked out those windows, to the soundstage beyond. I knew, more than I usually do, just how fake this was. But watching Mr. Solverson and Mrs. Solverson say good night, I still found tears in my eyes. Because fake is relative. Real lives in the heart. And “Fargo” Season 2’s heart was pure, to the very end.